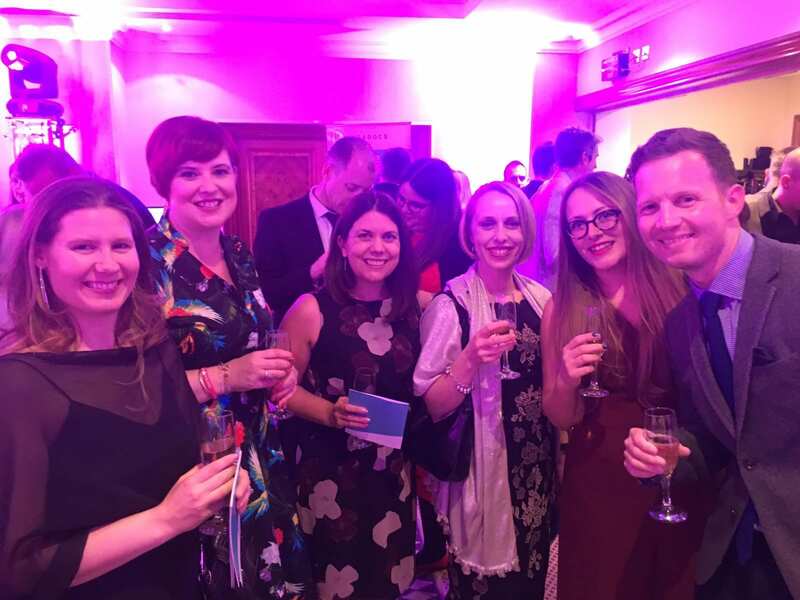 Two week ago, thanks to many of you lovely people, I got to attend the BAPS Blogging Awards, (Bloody Awesome Parents in case you were wondering) as a nominee for 3 awards. It was my first time at an event like this, and I’ve got to be honest, I loved it! It all started last year when Bringing Us Together, Debs Aspland, and My Family Our Needs, hit upon the idea that we needed a separate awards night for the Special Needs Community. There are many blogging awards throughout the year, but with what we talk about being considered quite niche, often the importance of what people write and the value of it is overlooked. And, if you didn’t know already, (or hadn’t guessed from the main pic of this post) I won! I had been nominated for 3 awards, and after losing the first 2 to the amazing blog Don’t Be Sorry, I thought I was going home empty handed. It’s funny how you don’t realise how much you want to win something until you lose! The awards were in Coventry (3 hours away from where I live) so it meant a whole day and night out. From the moment I was nominated I also had 7 friends and family who wanted to come and support me, making it even more fun! Being held at a golf hotel we decided to make the most of it and go up in the morning. It meant I got to play my first round of golf in 4 years, and a real chance to spend some quality time with those that I love. I also got to meet a good friend of mine who you’ve seen on these pages before, Kevin from the Facebook page Autism from a Dad’s Eye View. He also runs a Facebook support group for autism dads that I’m a part of and has connected people all over the world. Kevin lives not too far from where the event was held, and came especially so we could get to share a beer together. So thank you Kev, I really appreciate it! I’ve been writing this blog for nearly two years now, and over that time it has given me so much. When I started I just wanted to share our stories, and give friends and family a chance to understand more about what our lives are like. I hoped that other people might read it too, that it could help them in some way, and that they’d enjoy what I write. The response, and the love that people show me, Tommy and Jude has been overwhelming, so much more than I ever expected. It’s surreal knowing that there are thousands of people out there rooting for us, commenting and messaging encouragement, offering support when times are difficult. Being an autism parent can be quite a lonely experience. There’s so many events you have to miss out on, so many days you’re stuck at home, so many days where you might not get a 2-way conversation. There’s a feeling that our friends and family don’t always get what we’re going through, maybe that we don’t want to burden them with our problems. Thanks to the internet and social media it’s never been easier for us to find, connect, and talk to people who have things in common with you, who understand, and who can be that support that you need. Blogging did that for me. Firstly when I began reading other blogs to learn more about autism and try to find stories I could relate to. I needed to feel that there were other people out there experiencing day to day life just like what I was experiencing. Then, since I started my own blog it’s been a very cathartic process. Talking about autism, about Jude and Tommy, has enabled me to become a much better and stronger parent. It’s given me an outlet to share my thoughts, and enabled me to interact with and make friends with people all over the world. So I’d like to say a massive thank you to all of you. 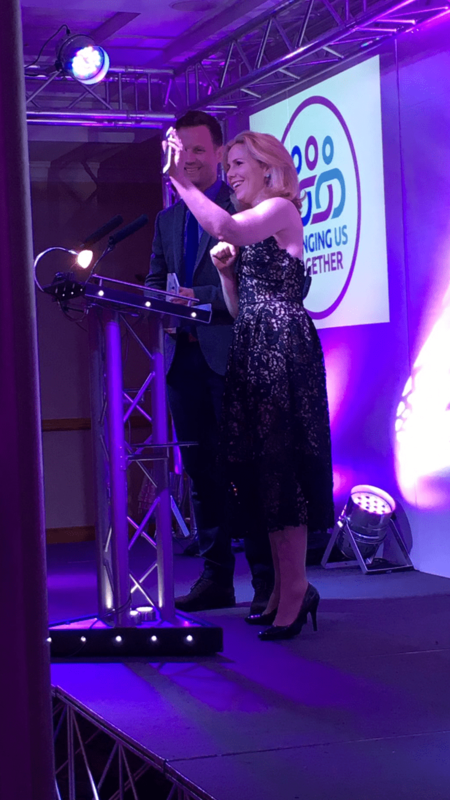 Thank you to the organisers of the awards, Bringing Us Together, My Family Our Needs, and Debs Aspland for coming up with such a great idea, and hosting such a fabulous event. Thank you to all of the sponsors, Choice Suport, Kuradocs, and Walsingham Support for helping make the night such a success. 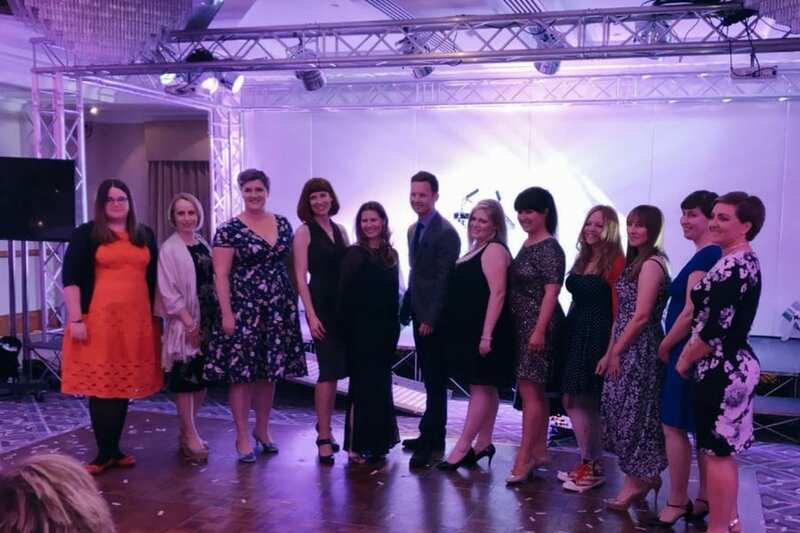 Thank you to all of the other bloggers, for the brilliant blogs that you write, for helping more people than you’ll ever realise, and for inspiring me to throw my hat into the ring and give it a go myself. Thank you to my friends and family who took the time off work to travel up with me, and help make that 24 hours so memorable. And last, but by no means least, thank you to all of you out there who read my blog and the many others like it. For taking the time to vote for me, and for all of the support you’ve shown my family for the last 2 years. Words can’t express how much I appreciate the love you’ve shown us. Next Post There goes the summer! Congratulations. Good job. We’ll keep on following your stories. Well done James, well deserved and I am delighted you won one of the awards. I am sorry I didn’t see you the next day to say goodbye, but unfortunately my alcohol intake had been based on my drinking ability before children! Sadly my recovery time was based on the reality of my now total lack of drinking ability! I will be putting more effort into improving my drinking & recovery ready for next year. We are just organising the date. Congratulations on your award! Sharing your stories and experiences of autism through your kids helps us all feel that we’re definitely not alone in our struggle. Keep up the wonderful blogging!